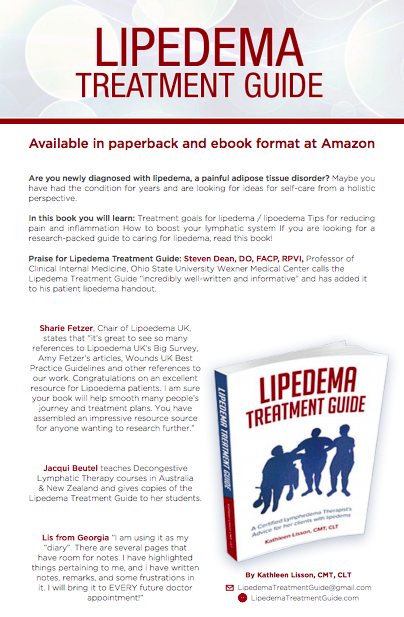 Steven Dean, DO, FACP, RPVI, Professor of Clinical Internal Medicine, Ohio State University Wexner Medical Center calls the Lipedema Treatment Guide “incredibly well-written and informative” and has added it to his patient lipedema handout. Jacqui Beutel teaches Decongestive Lymphatic Therapy courses in Australia and New Zealand and gives copies of the Lipedema Treatment Guide to her students. To buy the book on Amazon, please click or tap here. 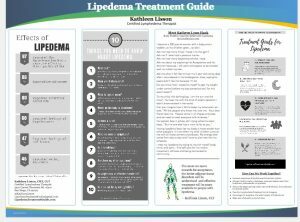 Welcome to the Lipedema Treatment Guide! This website is for people who are searching for lipedema treatment ideas and answers about lipedema. Maybe you have just learned about lipedema, or perhaps you’ve known about this fat disorder for years and are searching for more treatment options. Either way, I can imagine how frustrated and uncertain you might feel. Lipedema is not well known in either the medical field or by the general public, which means the two places we have come to depend on and trust for help us in hard times – our doctor’s office and home with family and friends – often offer little or no help when it comes to living with lipedema. 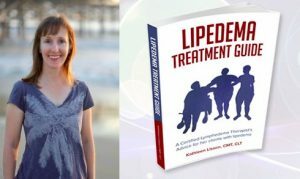 As a Certified Lymphedema Therapist, I have shared information on this astoundingly underdiagnosed disorder with individuals and community groups across San Diego and used social media to share tips on calming the pain and inflammation associated with lipedema. I invite you to look around! 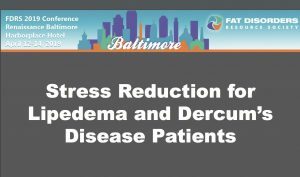 I have compiled a list of studies, videos, and resources on lipedema. I will add more resources in the coming months. For more information, please subscribe to my Lipedema Newsletter. 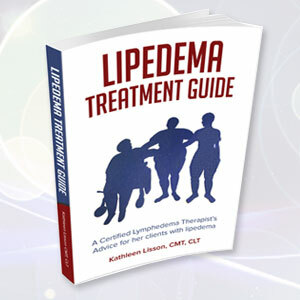 The Lipedema Treatment Guide is now available at Amazon. To see some quotes from the book, please click here. To see the guide on Amazon, please click here. To see the complete Stress Reduction PDF, please click or tap here.